MH Travel offers a unique tour visited by the world famous Ostrog Monastery and the city of Niksic famous for the production of the popular Nikšić beer. This tour is an ideal choice for all guests who stay in Podgorica. Especially Niksic as the town is not so often on the tourist maps among travel agencies in Montenegro. The town is close also to Durmitor national park, so a lot of agencies just pass by Niksic, and do not offer any option to their guests to explore the town. Niksic is also teritorialy the largest municipality in Montenegro. In the last couple of years Ostrog Monastery became very busy and the numbers of pilgrims from all over the world has been rised up to the several thousand visitors per day. 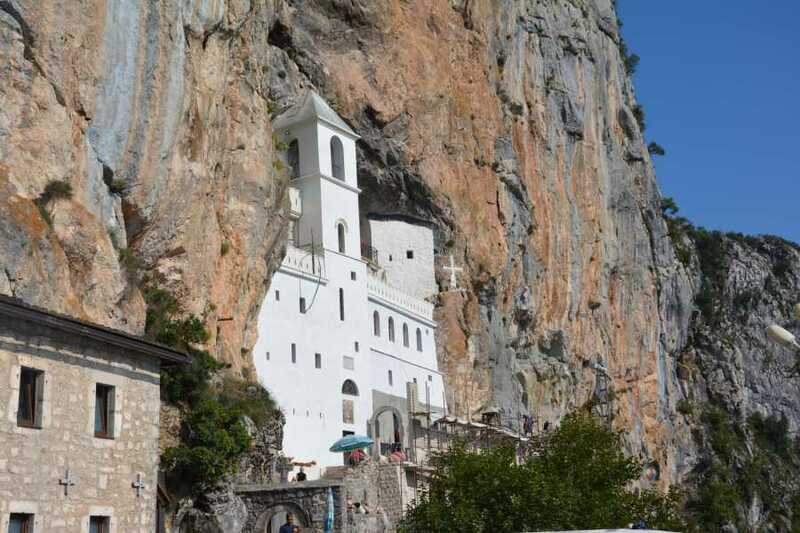 That makes the visit to Ostrog Monastery from the cities on the sea coast like Kotor and Budva more complicated. So, we decided to make a perfect budget tour only to Ostrog Monastery and city of Niksic. This is a one of a kind tour in Montenegro, and we are sure that we have the best possible itinerary for Ostrog Monastery to avoid the big pilgrim crowd. By choosing this tour you will have the opportunity to get acquainted with the fascinating and miraculous energy of the Monastery as well as the relaxing energy of the city of Niksic, which is surrounded by beautiful nature. NOTE: Luncs is not included in the price.Standard lunch costs from 8-12 euro. But if you want you can bring your own food and drink. Lunch are not obligatory. The price for the tour includes licensed tour guide in English language. Tour is organized with an air-conditioned car or mini van or mini bus.